With two young children and a modest floor plan this Maplewood, New Jersey home bustles with activity. Unrenovated since circa 1970s, the current owners sought out Idea Space to rethink the scale of the spaces on the first floor, most importantly that of the home’s kitchen. 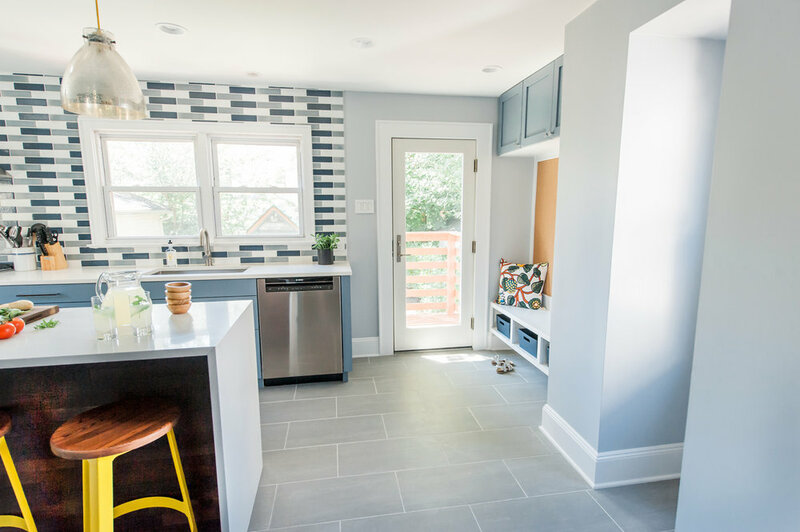 The clients driving desires behind the renovation was to create access to their backyard via the kitchen while introducing a space where the family of four could gather for meals. 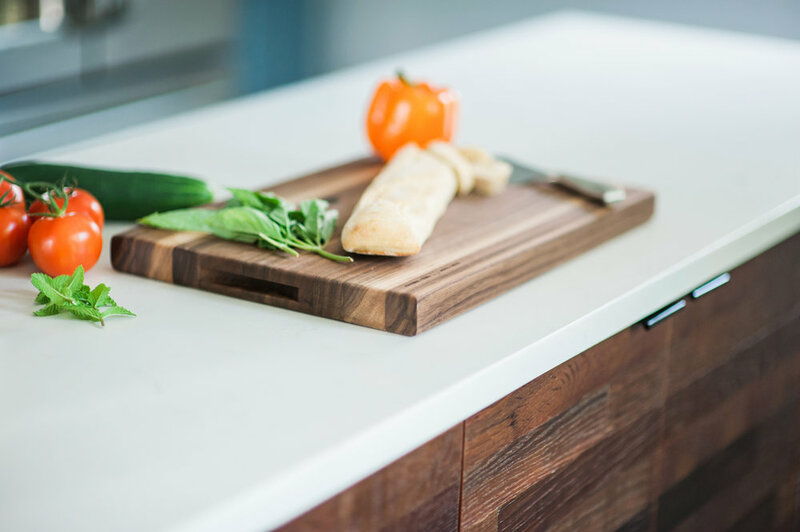 Idea Space quickly realized that the footprint of the kitchen needed to be expanded to allow for the required elements while simultaneously creating a bright, open, airy space with comfortable paths of travel when traversing the room. Therefore, the existing wall between the over scaled dining room and kitchen was removed and relocated increasing the footprint of the new kitchen. This additional floor space paved way for an island with seating. The door and wall to the basement was also removed to open up the space, expose more natural light by incorporating an unutilized window, while providing good flow to the downstairs playroom. With the addition of an exterior glass door leading to the backyard and new wood deck, daylight now filters into the space on all three sides of the kitchen. 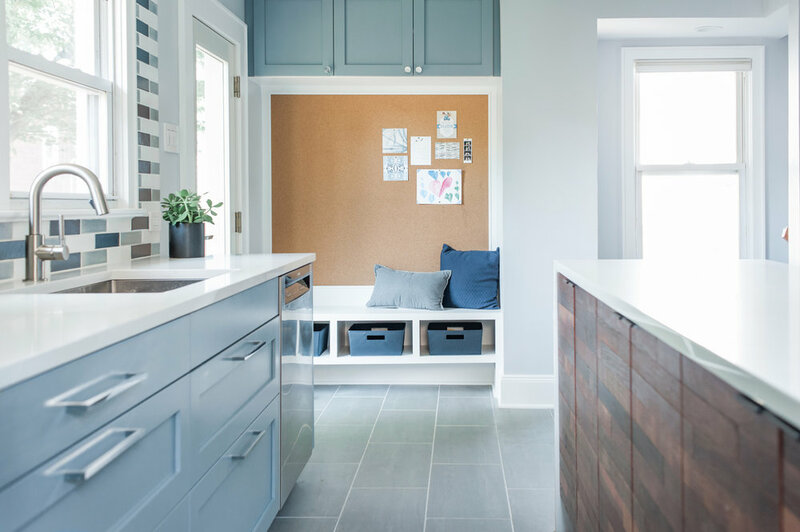 Adjacent to this new door a mudroom area and tack space serves as a place where the kids can easily remove their shoes and stow away their scarves. 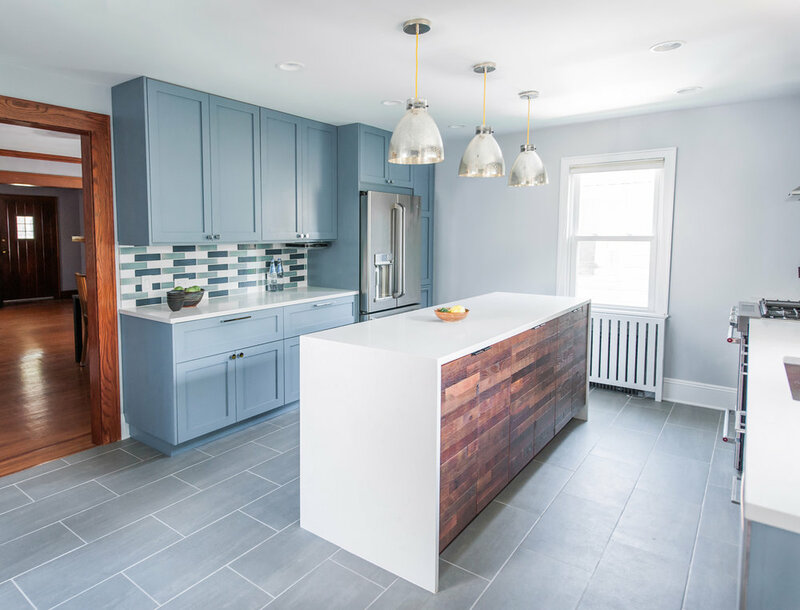 A color scheme based in cool blue grays and white is contrasted by a warm reclaimed wood island, which relates to the home’s original oak mouldings. A touch of yellow was introduced as a fun, quirky element in the bar stools and the light fixture cords reflecting the client’s spirited, youthful personalities.